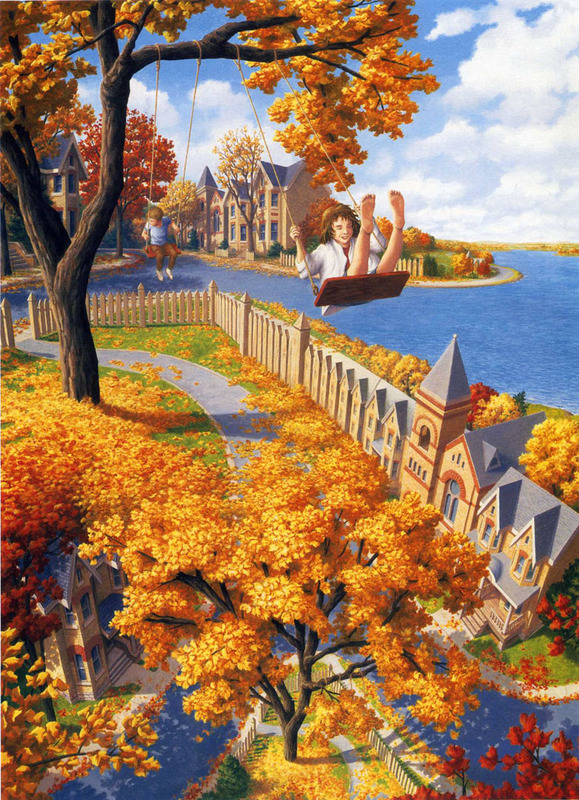 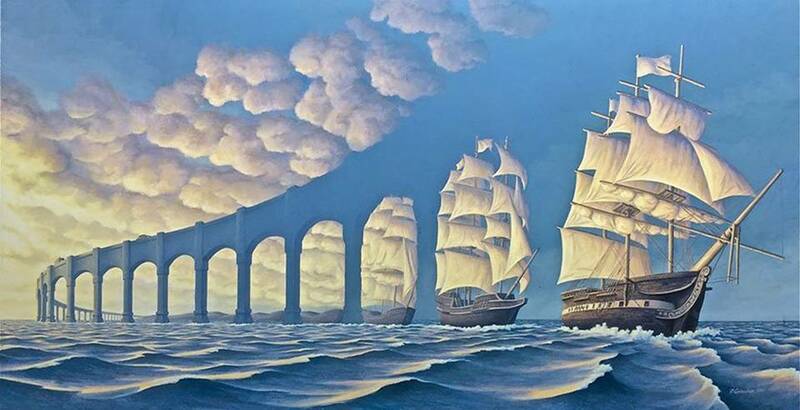 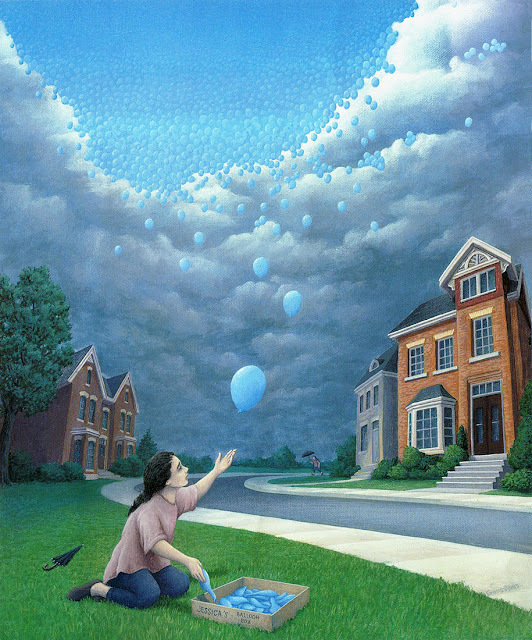 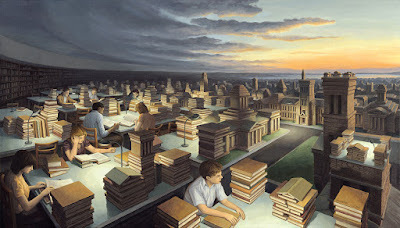 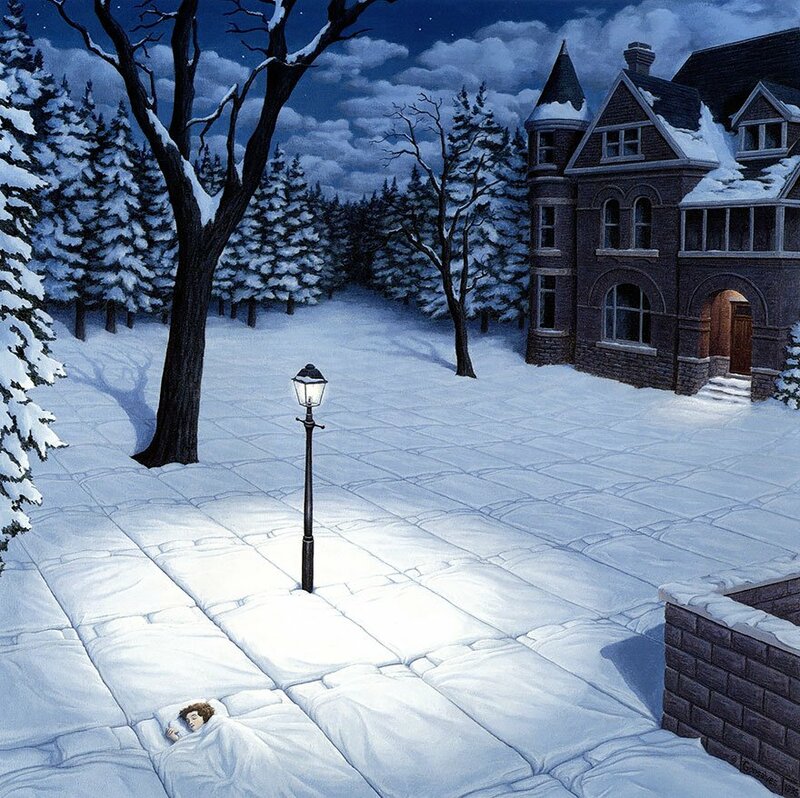 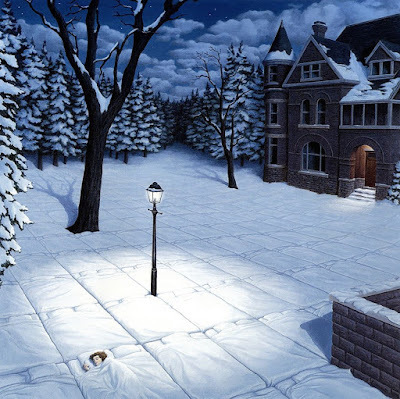 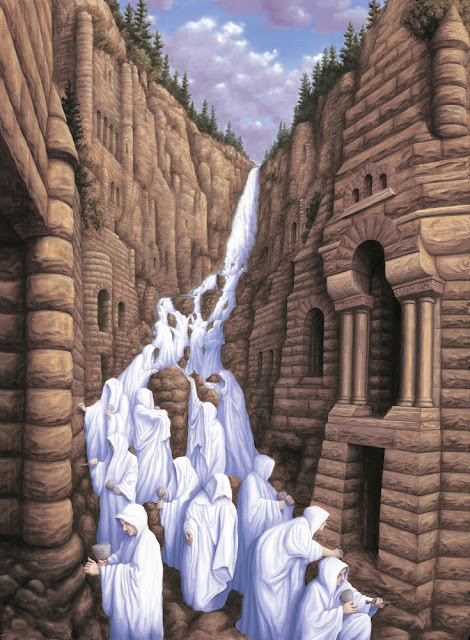 Rob Gonsalves is an artist who knows how to twist reality. 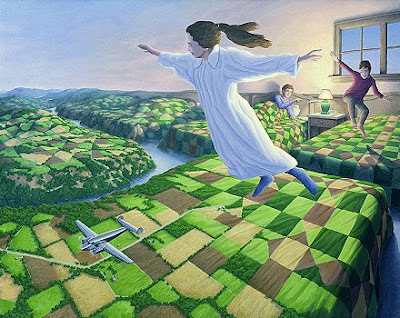 Using a technique of creativity and contorted perspective, he seamlessly blends usually unrelated scenes into one cohesive masterpiece. 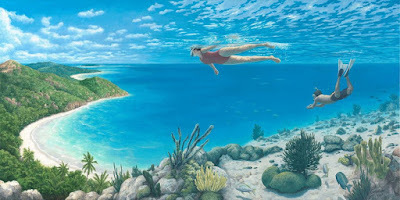 According to urbanpeak, “Gonsalves was influenced by paintings of Magritte and Escher and started his creations as a hobby aside from his architecture career. 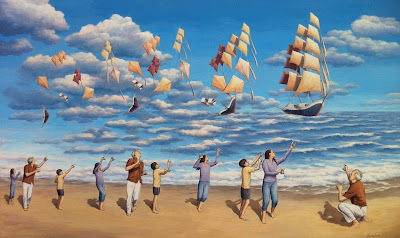 ” Whether it’s kites made out of sailboats or powdered snow turned into bedsheets, this Canadian artist knows how to mess with your mind. But what’s truly intoxicating about his work is the imagination behind every stroke. 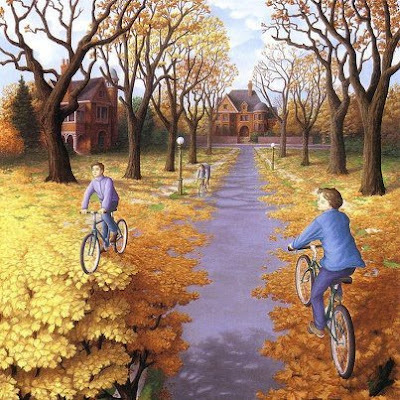 While a double-take may be necessary in pretty much every painting, it’s a joy to have your mind challenged in such an unconventional way.